ChiaoGoo 5 inch (13 cm) Knitting Needle Gauge. Made of durable plastic. Sold individually. Made in the USA. 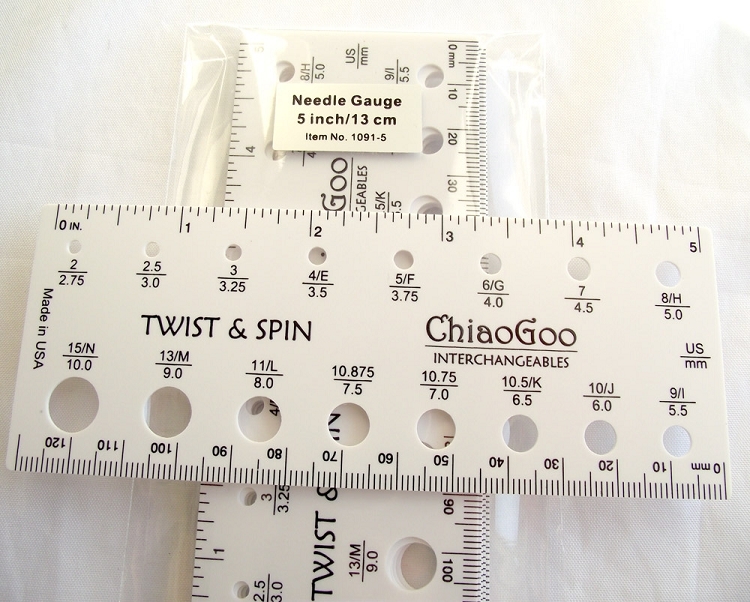 Q: Does the current 5 inch needle gauge include the small sizes (down to US000)? as the one included in the Mini set does? Thanks! Yes they do and thank you for checking. We'll update our photo soon.